1) Communication with the PC user interface software via a virtual serial port over USB. 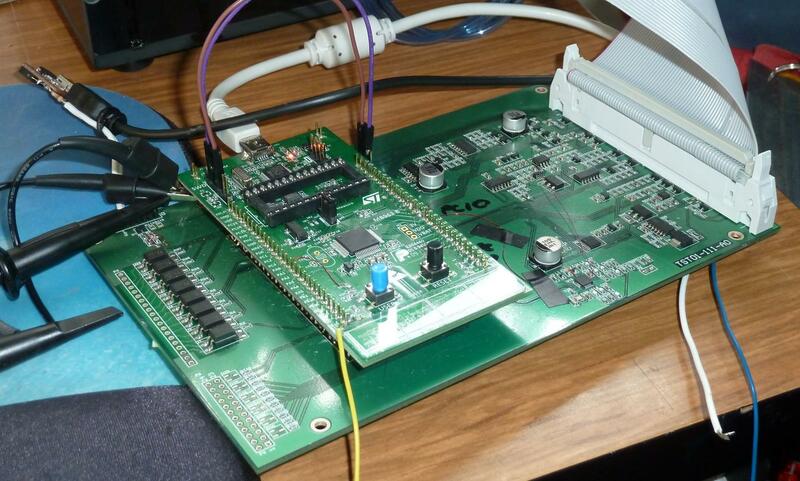 2) Communication with the DUT via an actual serial port to pass coms between the PC and DUT. a) Measuring DUT currents and voltages under different operating states. b) Sensing different DUT LED brightnesses under different operating states. c) Generating Audio to test a microphone in the DUT. d) Measuring temperature via a thermistor for comparison to the DUT. e) Activating a mechanical solenoid to operate buttons on the DUT. f) Stimulating the inductive power transfer system. g) Functioning the ISM band RF coms to the DUT.